You could argue that small cities (cities of fewer than 250,000 inhabitants) offer the best experience for tourists. Sure, larger cities like Rome and Paris have more to do, but the time it takes to get across town and to learn about the best places within a larger city can waste a lot of a tourist's time. You probably won't find it too daunting to drive into the cities listed below. Train travelers can take a hotel near the train station, dump the bags and go exploring on foot, seeing the whole city in a day. The list isn't complete, of course, but these are some of my favorite small cities in Europe. Avignon doesn't quite hit the 100,000 mark in population, but it's enough to seem like a city; there's a lot to see and do here, and a well-developed Provencal cuisine to try. Folks who like even smaller cities (or towns) will prefer Arles, but it's easy to get to either place on the train or by car. Obligatory stops in Avignon are the places that shaped it as an important city historically, 14th century Palace of the Popes and the 12th century Avignon Bridge. Where is Avignon? It forms a triangle with Marseille and Montpellier, close to the south coast of France. Basel, one of the most visited cities in Switzerland, sits pretty at the intersection of France, Germany, and Switzerland﻿. This makes for an interesting cuisine, especially when enjoyed at a medieval guildhall restaurant, for which the city is famous. Basel's Carnival is also notable as is its Christmas market, and the Museum of Fine Arts (one of many museums in Basel) is the oldest in Europe the public can visit. Oddly, at a population of only 166,000, Basel happens to be Switzerland's biggest city. Where is Basel? In northern Switzerland, on the border with France and Germany. It has its own international airport, with cheap flights from easyJet. Bergen might be one of the larger cities on this list at about a quarter of a million population, but the center of Bergan feels much smaller. Bryggen is an area along the waterfront characterized by its parallel rows of buildings with a history of construction dating back 900 years to the time of the German Hanseatic League, who established a trade center on Bergen's waterfront. Where is Bergen? On the west coast of Norway, usually reached by plane or cruise ship. Bruges historic center is a UNESCO World Heritage Site, as beautiful as any you'll find in Europe. Have one of Bruges' notable brews, then walk the city and take in the eye candy, stopping for chocolate. Get another blast of medieval eye candy from a different perspective when you take a canal cruise. Where is Bruges? Northern Belgium (though Belgium is so small, north, south, east, and west hardly count). Bruges is well connected by train with other Belgian cities. There are many German cities that could fit here, but we've chosen to go with Heidelberg. It's on the castle road, so it makes a good base for exploring, although Heidelburg has an interesting castle of its own - and it's a university town, so it's lively at night. Where is Heidelberg? Halfway between Stuttgart and Frankfurt. Lucca is blessed with a 16th-century wall that runs around the historical center. You can bike on top and enjoy the views and marvel at the laidback lifestyle of Puccini's city. The wall is also important for the tourist in that it's kept out all the modern intrusions like gas stations and tin-roof warehouses. This is a beautiful town with fine Tuscan cuisine. Where is Lucca? North-west Italy, close to Pisa and a ​day trip from Florence. The 2001 capital of culture has a lot going for it. Walk along the river, Ribeira do Porto, stopping at one of the little bars or restaurants for a bite to eat, then head up to one of Porto's viewpoints for an overall view of the city, then head across the river to a Port wine producer to learn about one of Porto's many treasures that made the city a nexus for trade. Where is Porto? Northern Portugal, reachable from both Lisbon and the Spanish city of Santiago de Compostela. Austria's fourth largest city is, like many of the small cities listed here, a UNESCO World Heritage Site. The birthplace of Mozart (you can visit the house where he lived from 1773 to 1787) is justly famous for the music composed in the area, celebrated spectacularly at the Salzburg Festival in the summer. Where is Salzburg? Northern Austria. There are lots of budget flights to Salzburg. It is also reachable from Munich in Germany. 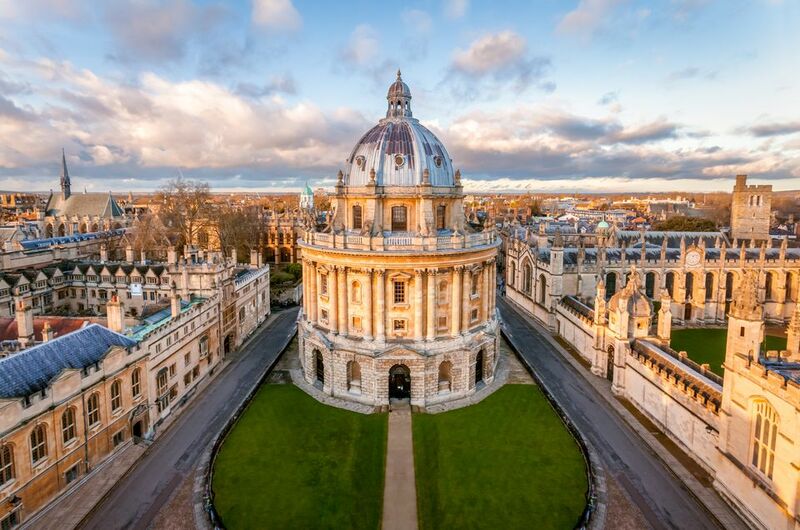 Oxford is one of the UK's most popular cities. If you like old things, you'll marvel at England's oldest university, which dates back to the 11th century, and England's oldest public museum, The Ashmolean, "recently refurbished with its exhibition space doubled." Oxford is a walking town; you can even go ghost hunting. Where is Oxford? About an hour north-west of London by train.